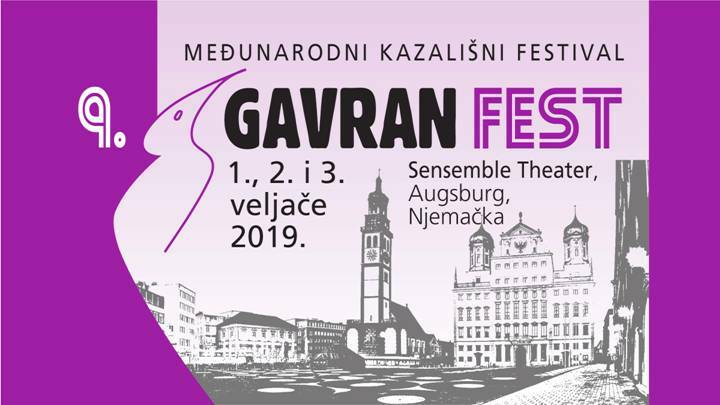 The ninth GavranFest, the international theatre festival which exclusively features plays by the Croatian author Miro Gavran, will take place 1-3 February 2019 in the Sensemble Theatre in Ausburg, Germany. The producers of the festival, Anne Schuester and Sebastian Seidel, have invited five productions from Austria, Croatia and Germany. They have also organised two round tables where directors, actors, theatrologists, and translators will speak about Gavran's work. GavranFest was founded in 2003 in the Jan Palarik Theatre in Trnava, Slovakia where it was held four times. In 2013 it was held in the Ludowy Theatre in Krakow, Poland, and since 2016 it has been held in Prague in the Czech Republic. Miro Gavran plays have premiered seven times in German theatres. Two collections of his dramas have been published in German, by the University of Bamberg Press. And, three of his plays – Creon’s Antigone, George Washington’s Loves, and Night of the Gods – were included in an anthology of the world’s best dramas, published by Anton Heirsemann Publishing House, Stuttgart. Holding this festival in Germany will without a doubt encourage German theatres to pay even more attention to texts by this Croatian author.